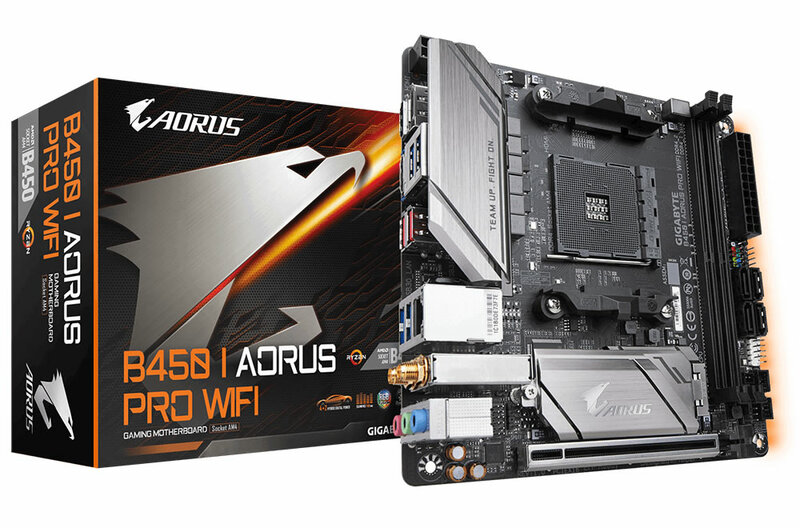 AORUS B450 I AORUS PRO WIFI uses an all IR digital CPU power design which includes both digital PWM Controllers and Power Stage controllers, capable of providing at least 50A of power. 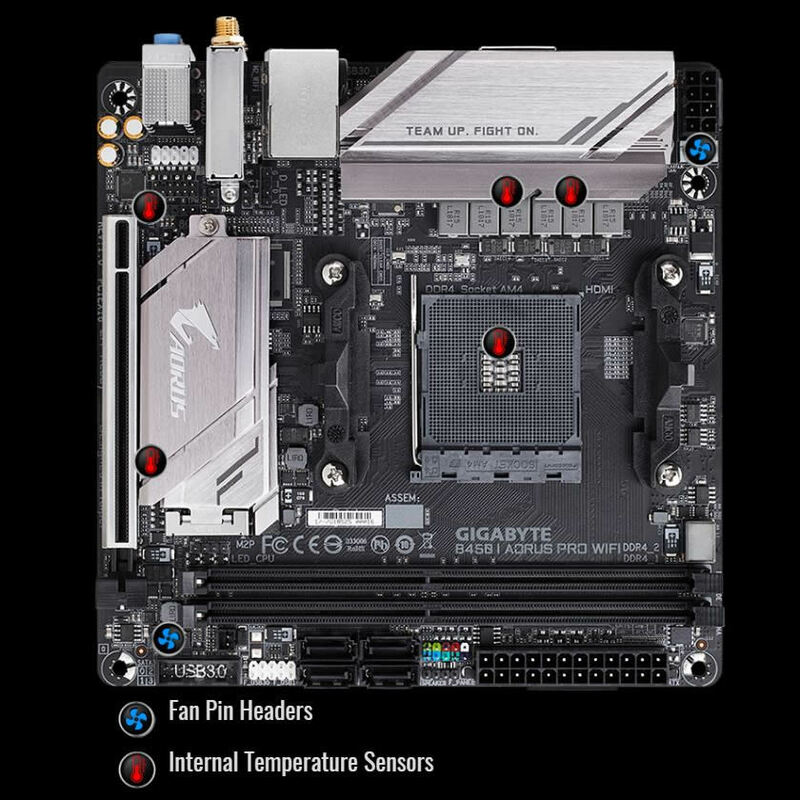 These 100% digital controllers and additional 8 Solid-pin CPU Power Connectors offer incredible precision in delivering power to the motherboard's most power-hungry and energy-sensitive components, allowing enthusiasts to get the absolute maximum performance from the new 2nd Gen AMD Ryzen™ processors. 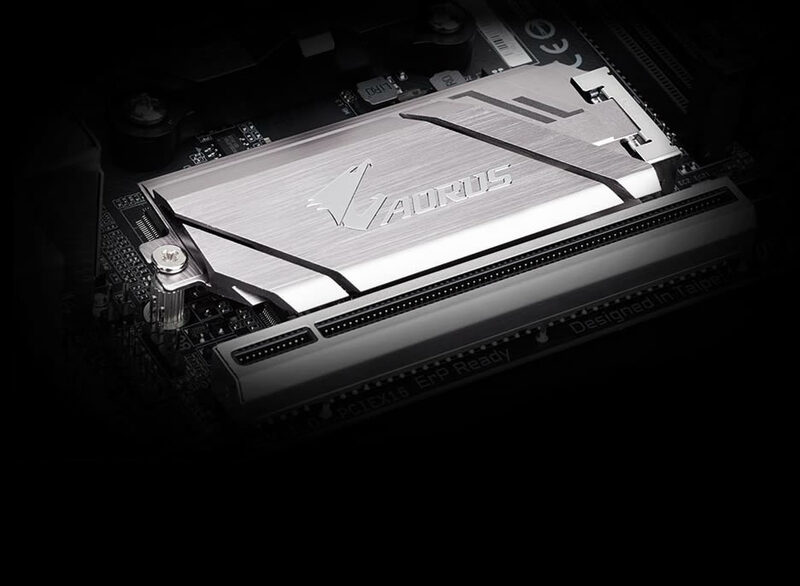 With durability in mind, GIGABYTE provides a thermal solution for M.2 drives. 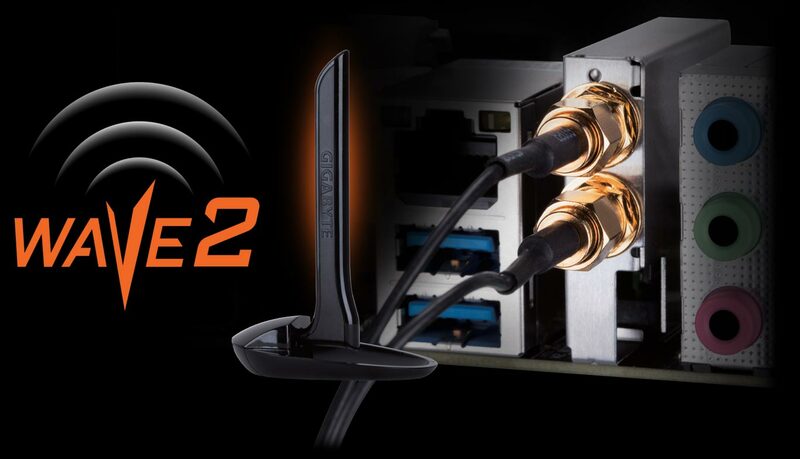 The M.2 Thermal Guard prevents throttling and bottlenecks from M.2 devices as it helps to reduce and dissipate heat before it becomes an issue. 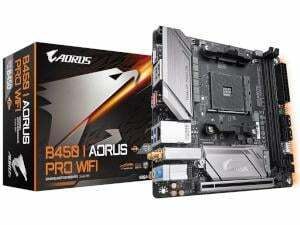 Intel Next-Gen Wireless solution supports 802.11ac Wave 2 function, enables gigabit wireless performance, provides smooth video streaming, better gaming experience, few dropped connections and speeds up to 1.73Gbps. Double the speed than previous generation. 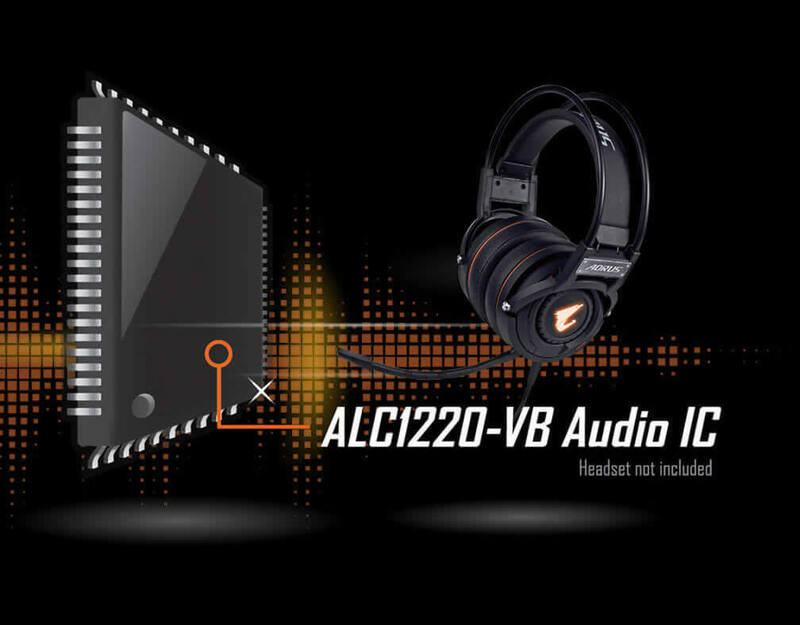 ALC1220 120dB SNR HD Audio with Smart Headphone Amp automatically detects impedance of your head-worn audio device, preventing issues such as low volume and distortion. New VB series audio controller stream your voice to the world vibrantly with both front/rear microphone SNR up to 110/114dB. 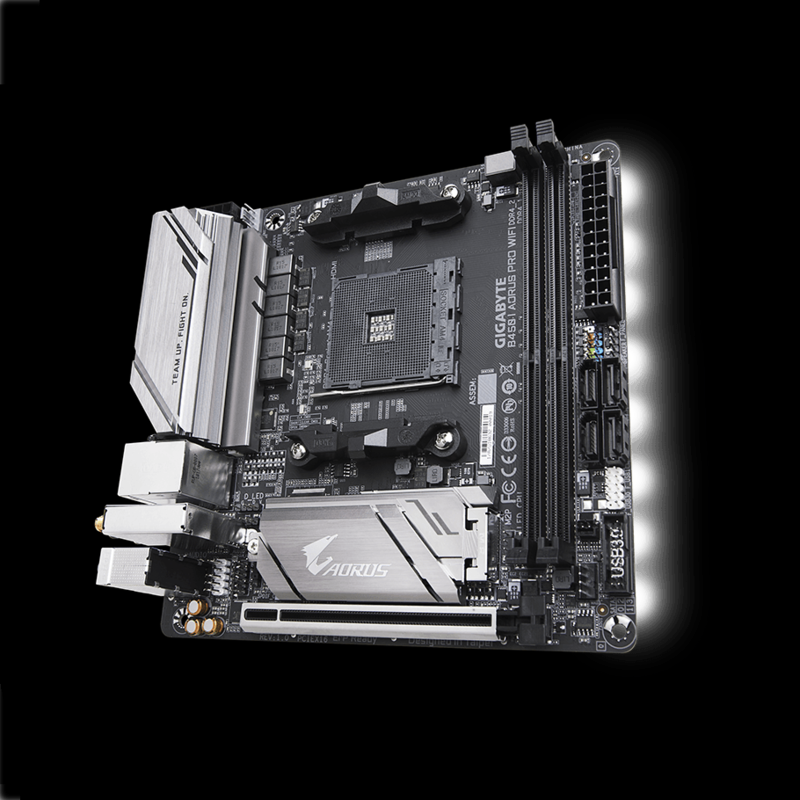 * ECC function is limited if using an AMD Athlon™ 200-series APU. 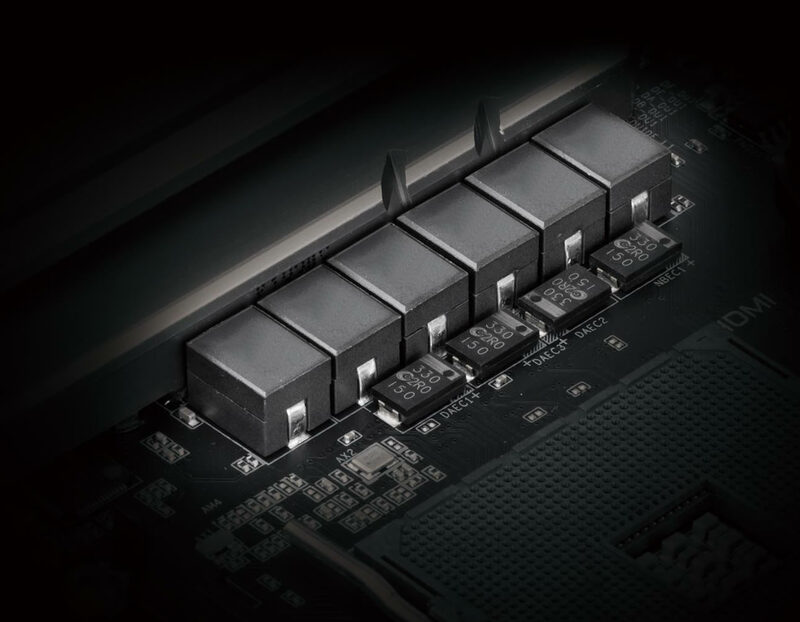 * One of HDMI function is limited if using an AMD Athlon™ 200-series APU.